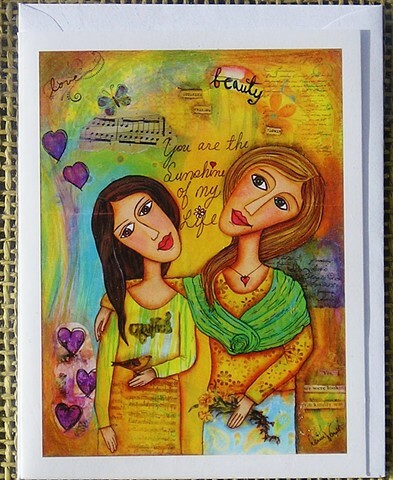 Inspired by Mother, daughter relationships of every kind, this mixed media piece was made with lot's of Love. These cards are 10 X 13 cm ( 4/14" X 51/2") in size and are a print of my original painting. Printed in Kelowna BC, Canada. SHIPPING in Canada and the USA and tax are included in this price.